We didn’t particularly intend to go and see Christopher perform this spoken word session, but it was on at the right place at the right time. Christopher gave us a lecture on metareprogramming to seduce the ladies. I found it hilarious, I reminded me of Claudia O’Doherty’s lecture on soil erosion that I saw two years ago. As soon as it started I wanted to text my friend E and tell her about it, she would have loved to have been there. Well I laughed a lot, and enjoyed the audience participation. I thought it was a clever idea and Christopher dealt well with the spontaneity required of the concept. Afterwards, the session turned into a bit of a workshop where the audience chatted with Christopher about developing the idea. What a nice, interesting guy he is. We were then treated to a bit of original poetry. This show was absolutely not polished, and it wasn’t the best thing I have seen so far, but 40 shows in it absolutely made my Fringe with its raw potential and the opportunity to get a bit involved. This show It took place in a bizarre, mostly empty venue. It started late. This show was unscripted, unpolished and hastily rewritten. It had all the hallmarks of disaster. That’s OK with me. I want to see different, interesting and experimental things on the Fringe, and frankly if you want to push the limits you’re going to see some crap. I shouldn’t have worried. Christopher was engaging from the outset, and the idea of an ironic lecture on meta-reprogramming is very clever. The combination of slideshow and part-improvised audience interaction worked really well – so much so I had no idea he had rewritten the show in the hours beforehand! Of course, if you go tomorrow you might see a completely different version, but I’m pretty sure it will still be good! In complete contrast, he shared a haunting poem he had written about his grandfather. The combination of poet, intellect, engaging manner and an eye for the absurd means and I think that as he becomes more confident in his material he could be truly dangerous! I’ll definitely be looking out for Christopher Stewart next year, and if you’re looking for something exciting and different to round off your fringe, I’d really encourage you to look him up in the PBH Free Fringe programme! This is either the third or fourth time we’ve come to see the Noise Next Door, and it’s the only improv comedy group that we keep coming to for more. This year’s show was really very good, although there were a couple of slightly contrived sections in the middle. The “Soundhouse” theme works well, and the players are energetic and weirdly diverse in their approach. The only disappointment was a rather cold audience that wasn’t really up for throwing out the required suggestions. We helped where we could. Penguin. 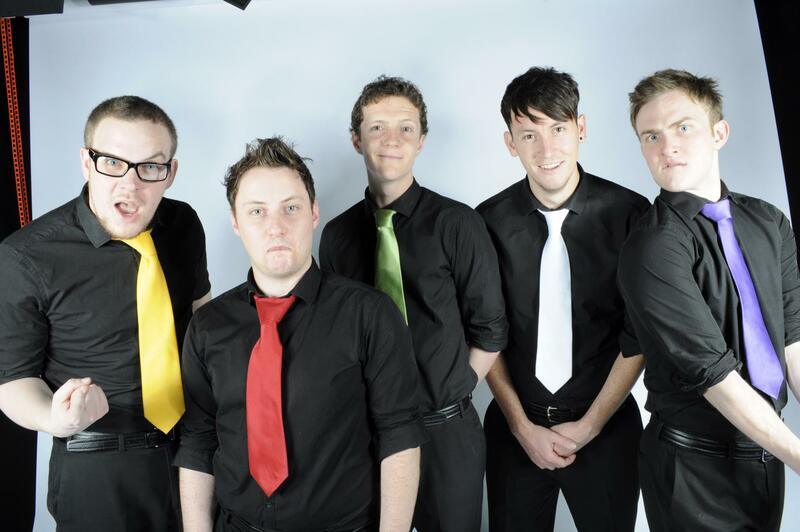 The Noise Next Door are a group of five guys who do improvised comedy and music. Of the improv I’ve seen these guys are my favourite – straight down the line without pretention or studentyness, just consistently good. We’ve seen them a couple of times before. This year the Noise Next Door’s show has a broad narrative based in a fictional cabaret show and the sketches are made up around the people that work in the theatre. I thought as a concept it worked extremely well, I really liked that a lot. The performance was solid – perhaps not the best I’ve ever seen, but I’d put that down to the audience suggestions more than the act itself. Fat Kitten must have the best name in improv. I love kittens. In this show, Fat Kitten are up against another improv troop in a ‘who does the best improv?’ competition. Fat kitten won, although on this occasion I preferred the other lot. An amusing hour, not the best I’ve ever seen but fine. The idea of a resident improv team competing with a visiting team seemes appealing, but in reality I think it mean that neither team ever really got into their stride, and they were both playing games they didn’t know well enough to be really slick at a good chunk of the time. It was good fun, and there were clearly a lot of fans of both teams in the house as there was a fair bit of banter. A good laugh, but there I’ve seen much better improv this year, most notably from The Noise Next Door. 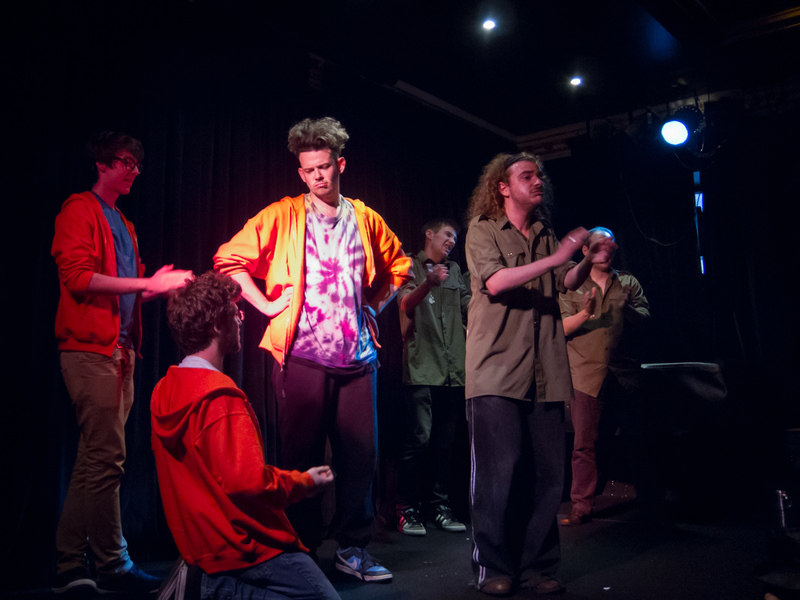 A classic student sketch show. The performers are likeable and show real promise but the material is weak with occasional interludes of adequacy. 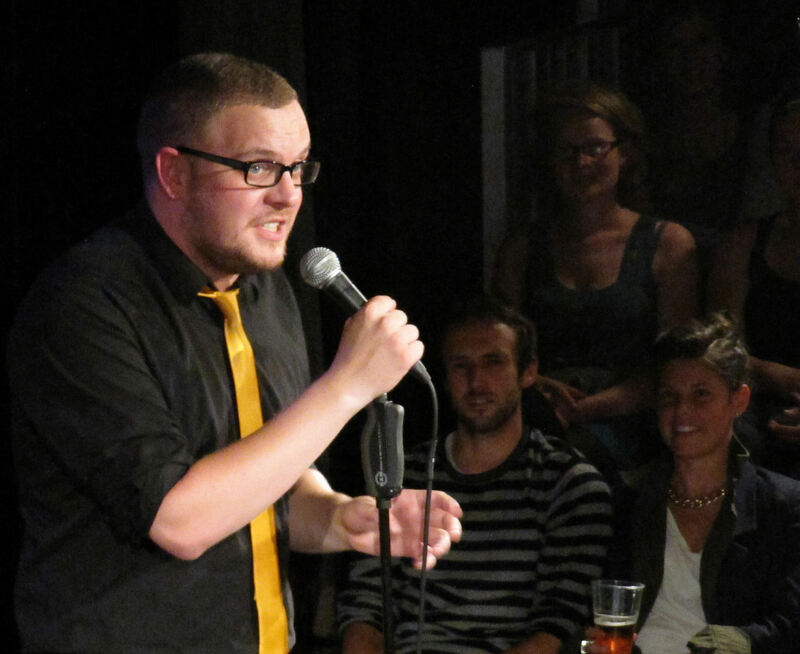 At times the performers seem to lack confidence in the material too, petering out as they deliver punchlines that might raise more of a smile with some enthusiasm behind them. Harmless, but far from the best on offer. A young improv group who put together a film in front of your eyes. They were fairly amusing and quite physical with it, which made it good to look at. What sets it apart a bit is that one guy narrates the thing, so he pauses it, does a few rewinds to see bits again, and shows some DVD extras. Ours was a Kung Fu film set in a school. Not a genre I’m interested in, or I might have liked it more. We love these guys, and have seen them do their Improv show at least the last two years. The underlying structure of the show this year was perhaps slightly more obvious than in previous years, but their execution is just superb. Clever conceptually, linguistically and physically, they kept me laughing for the hour without any difficulty at all. I’d consider going back to see the show again as it is so heavily based on audience suggestions it would be very interesting to see just how different it was. They also seem like genuinely nice guys, and to enjoy themselves on stage, which helps to build a great atmosphere and rapport with the audience. I’ve said before we’re tough scorers – for me 4* is “very highly recommended”. Definitely a great way of spending an hour of Fringe-time! This is our third year for the Noise Next Door and they have gone up in the world a little from a portacabin to a proper inside room. These guys do improv, and they do it very well. I can’t imagine a slicker improv show and it was very very funny. You can tell it is a formula though, you know which bits are standard and which are bespoke. I’m torn between appreciating the effort and wishing for a bit more spontaneity. Lots of laughing though. On the night we went they did a little 50 Shades of Grey bit, which was very good.